What does Project Landscape Map mean? 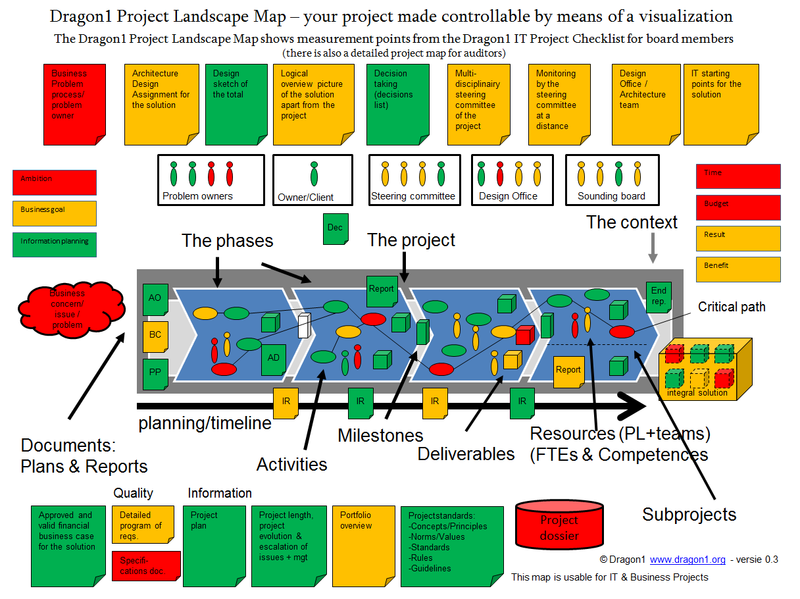 What is a Project Landscape Map? A Dragon1 Term Definition. A Project Landscape Map is a generic overview of the structure of a project. Do you want to visualize Project Landscape Maps? Create your Trial Account today. Free templates are available on Dragon1.